As we approach the one year anniversary of the stellar PlayStation 4 exclusive God of War, fans around the globe are celebrating the game in glorious fashion. Well, at the very least, they are getting some pretty sweet digital swag on their PS4 consoles. That said, there's always a chance that we could see something significant announced regarding the award-winning title in the coming days. Naturally, director Cory Barlog isn't one to shy away from Twitter to let fans know what exactly is going on, which seems to be the case with a recent tweet that is teasing everyone to no end. Before we jump into this, Barlog clarified his tease and made sure that everyone knows that it has nothing to do with DLC for God of War. 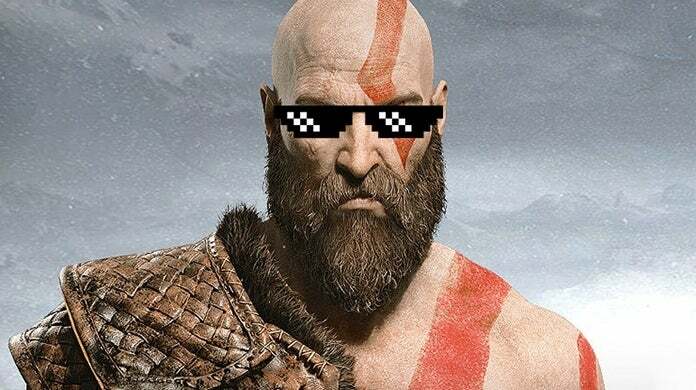 Many are theorizing that the development team will be celebrating the first anniversary of the adventure of Kratos and Atreus by announcing a sequel. Others are thinking it could be a Game of the Year Edition. Either way, Barlog is teasing something and fans are none too pleased. Just so no one gets the wrong idea - there is no DLC coming for the game. Sorry. So, it isn't DLC for God of War, which means it could be just about anything else. Yeah, fans are excited, but they are surely not thrilled with the teasing. Slide 5 of 10DAD HAT? micro drama. that's how i roll. Slide 8 of 10GAME OF THE YEAR EDITION? It's anyone's guess at this point as to what Barlog could be teasing, but it sure is fun to see all of the reactions it gets out of fans. Could be a Game of the Year Edition, or a sequel announcement, or just about anything that isn't DLC. Who knows, maybe Kratos is going to be a DLC fighter in Mortal Kombat 11. Okay, I might need that one to happen. "At every turn God of War manages to dazzle, and instills a profound sense of wonder. I don't understand how Santa Monica was able to tell this entire story in one, unbroken shot without loading screens or cuts. I marvel at the imagination and ingenuity of the artists and designers who crafted this incredible world. "Impossibly large temples of stone and precious metal, brilliantly glowing crystals and magical effects, and technically mind-boggling set-pieces that your brain will struggle to comprehend all suggest a game that would have been impressive on next-generation hardware." What do you think about all of this? Is the God of War director teasing a sequel, or is that thinking a bit too big? Let us know in the comment section below, or feel free to hit me up over on Twitter @anarkE7!